If you always dreamt of being the most special girl in the life of Bollywood hottie-Shahid Kapoor, here is your chance. Shahid has recently spoken about the qualities he would like to see in his dream woman and these include-honesty, sensitivity, a good sense of humor and a strong sense of loyalty. Also the woman has to be real and we might add that gorgeous looks won’t harm either. Shahid was once very open about his private life when he was in a relationship with actress Kareena Kapoor. After he had a very public break-up with her, he avoided speaking to the media about his relationship. 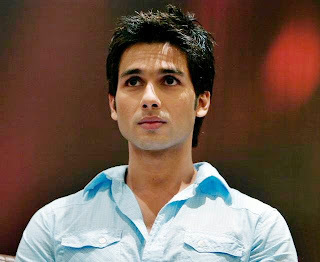 After he let go of his committed status, Shahid has been linked with a bevy of Bollywood beauties like Amrita Rao, Vidya Balan and Priyanka Chopra.He,however,never admitted that he was going around with anyone of them. Recently he even claimed that he will never be a hypocrite and always admit about the status of his relationship. Well we are not doubting his intentions, but if that were the case why he did not speak when he was having a relationship with Vidya. Recently Vidya claimed that she was indeed involved with Shahid and his constant criticism was detrimental to her over all self confidence. Well we think that it was really gutsy for a woman to come out and speak about her relationship even when the man himself was not willing to talk about it.